The Cliff Notes version of Natalie Cole’s career is that the daughter of a legendary singer is one of peaks at the beginning and end, and a valley in the middle. She hit with such extraordinary power in the mid-1970s that it’s amazing to consider that she originally had no plans of going into the family business. Her mother, Maria, was a singer with the big bands of Count Basie and Duke Ellington. When Cole attended college and pursued a major in psychology, it appeared that she was trying to escape that legacy. Cole had the pedigree that would open doors, and even though more than a few club owners found her decision to sing Aretha and Janis Joplin rather than “Unforgettable” and “Straighten Up and Fly Right” dismaying, her clear vocal talent ensured that those doors remained open. Cole eventually walked through and in 1975 – 10 years after Nat King Cole’s passing - scored her first hit, “This Will Be,” from the critically and commercially acclaimed album Inseparable. The quality and popularity of Cole’s work remained high throughout the balance of the decade and into the early 80s, and Cole scored a series of hits, Grammy nominations and wins. Cole’s success gave her entrée into the pop star world and all that came with it, both good and bad. By the early 1980s, Cole developed a drug addiction around the time that musical tastes began to change, and artists began embracing a synthesized sound that was at odds with the jazz infused soul and R&B that made Cole famous in the 1970s. So, when Cole worked on I’m Ready in 1983, she was in a particularly vulnerable state. Cole was dealing with the addiction and was fresh from a health scare that resulted in her losing her voice. She was also seeking to adapt to the changing musical trends. Consequently, I’m Ready became Cole’s least successful album of her career to that point. “Too Much Mister,” the lead single peaked at number 45 on the charts, and I’m Ready made minimal impact on the R&B and pop charts. Cole readily admits that she was not in a good place in 1982 and 1983, and that her physical and emotional condition likely had a negative impact on the sales of I’m Ready. Those personal and professional setbacks that occurred in the 1980s do give an impression that the entire decade was a wash, but that is not the case. Cole was back making pop and R&B and earning Grammy nominations by the end of the decade. She led the parade of R&B and rock stars who discovered gold (or in her case, platinum) by singing the Great American Songbook tunes made famous by Nat King Cole and others on a series of album starting with the Unforgettable: With Love, a multiple Grammy winner released in 1991. Thanks to a reissue of I’m Ready, soul music fans have an opportunity to listen to that project once again, and what they will find is that the record’s lackluster sales can’t be blamed on the record’s content. 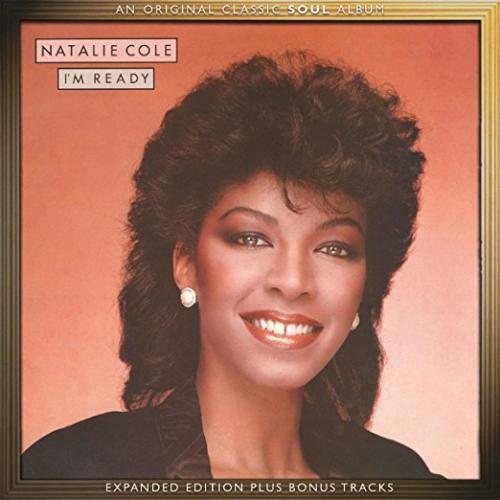 I’m Ready, like most albums from that era, had a balance of up-tempo synth powered funky R&B numbers such as the aforementioned “Too Much Mister,” as well as the soulful mid-tempo numbers that helped Cole a household name in her own right in the 1970s. I’m Ready included the kind of lush, jazzy soul ballads of the type that provided ample hints that Cole possessed the vocal phrasing to ably handle the songbook tunes that made her father one his or any generation’s best and most recognizable singers. The fact of the matter is as much as it has been posited that Cole’s embrace of the songbook in starting in the early 1990s serves as a return to her roots, that jazz grounding had always been a crucial part of Cole’s sound. “I’ve Got Love On My Mind” is a sensual and swinging ballad, and the slow jams found on I’m Ready elevate the quality of this project. “Keep It On the Outside” is Cole’s gospel-infused plea to create a fortress of love with her beau that the haters and their contention will not be able to penetrate. “Straight From the Heart,” is the type of lite pop schmaltz that artists such as Sergio Mendes spun into gold, and this track certainly should have found the kind of reception on Top 40 radio that “Miss You Like Crazy” would find in the late 1980s. Unfortunately, we kind of slept of on I’m Ready when it dropped back in ’83, but the beauty of our information driven world is that there is some intrepid business person looking for a way to provide a second bite of the apple. This reissue of I’m Ready provides us with a chance to further explore the legacy of a singer, from a musical royal family, who left us way too soon. Heartily Recommended.